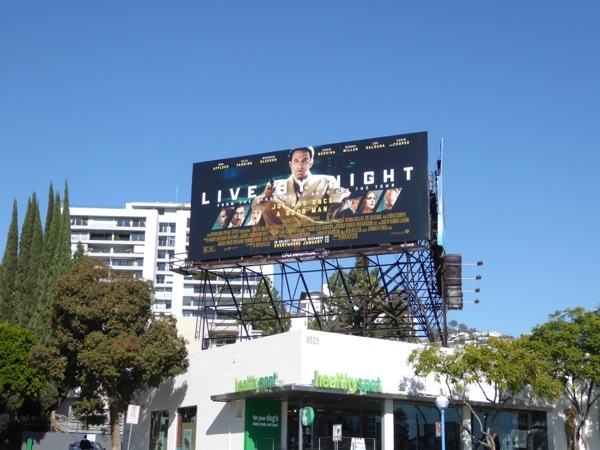 When he's not playing the Caped Crusader, Ben Affleck seems to like pulling double duty as director and actor in his films, like with his latest endeavour, Live by Night. 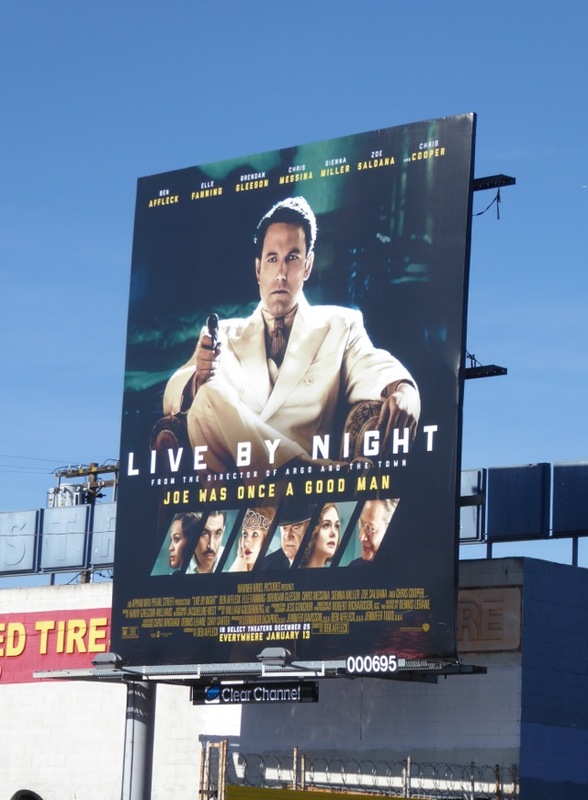 The Prohibition Era crime movie is adapted from Dennis Lehane's 2012 novel of the same name and follows Affleck's 'Joe Coughlin' in the 1920s and 1930s in Ybor City, Tampa, Florida, the son of a Boston police captain who turns bootlegger and becomes a notorious gangster. 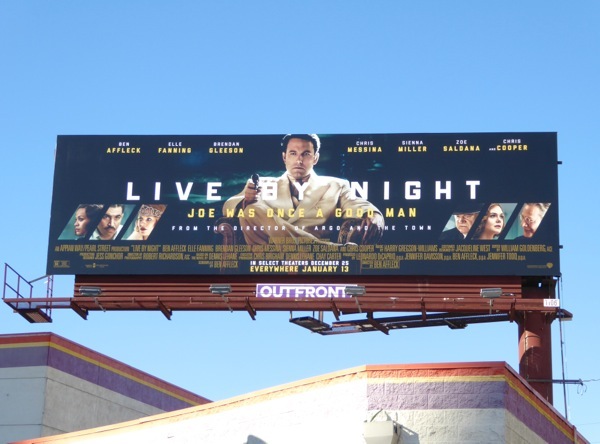 This Live by Night teaser billboard was first spied along West Hollywood's Sunset Strip on November 29, whilst the 'Joe was once a good man' billboards were photographed along Santa Monica Boulevard and La Brea Avenue from December 17 to December 27, 2016. 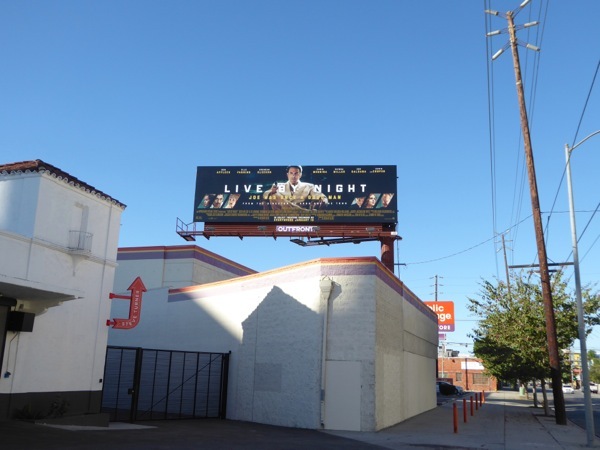 Daily Billboard doesn't know whether it's the light coloured suit he's wearing, or his crossed legs, but there's something about this ad creative that evokes Sharon Stone in Basic Instinct. 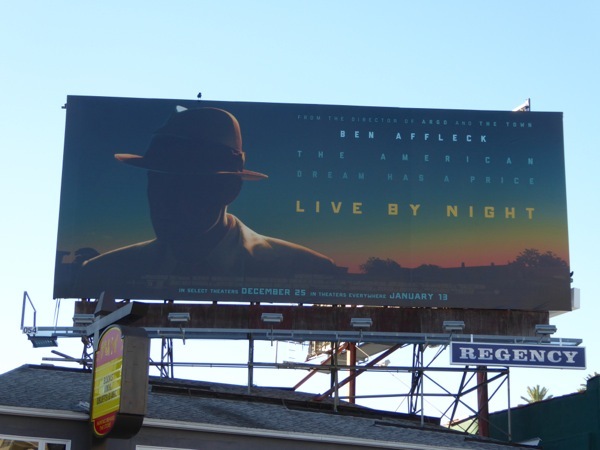 You can go further behind-the-secnes of this period gangster movie with these costumes from Live by Night on display. 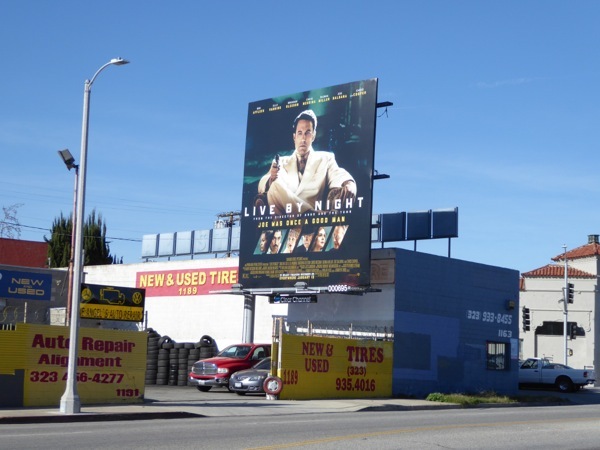 Fans of Ben Affleck can also enjoy these Argo movie billboards, these Batman v Superman movie billboards and these Project Greenlight TV billboards. 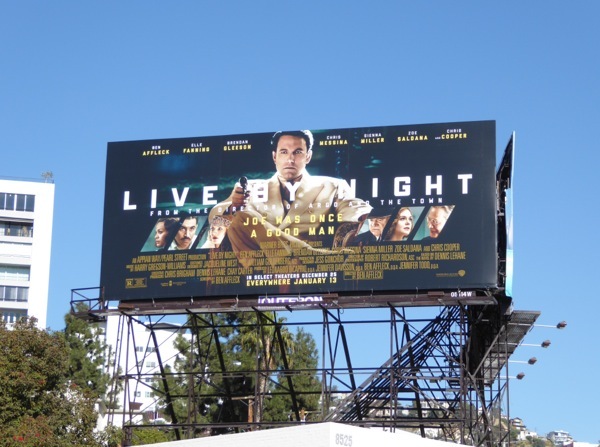 Now, can Live by Night pull off the crime of the century and deliver a truly original gangster movie to set the cinematic standard for 2017?